We took 6 smart ideas from this small apartment! Today we are taking a gander inside a magnificent Brazilian apartment. Exuding striking oriental influences, unfussiness and an uncomplicated modernity, this dwelling provides a host of interesting design ideas and inspiration. Boasting ample natural illumination, strong architectural lines and a muted yet earthy colour palette, this abode is sure to offer plenty of neat ideas, tips and tricks. If you would like to learn some ways you can improve your home, we’ve collated 6 great ideas that are sure to enhance and improve your apartment or house. Check out this neat home office and guest bedroom. Replete with a sense of comfort and usability, it wonderfully integrates two domestic essentials into one easy-to-use space. Often the key to apartment living is to ensure you make the most out of every small and compact centimetre of space. In order to do this, often certain areas need to be combined, which is where the integration of different rooms becomes exceedingly important. 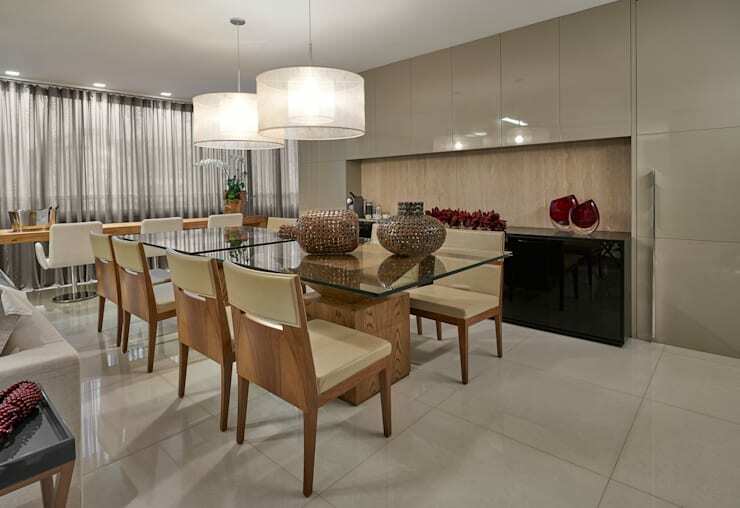 The integration of spaces can be difficult at times, but it is possible to blend different domestic needs into one area, with the use of sleek partitions and smart furnishings. As we say time and time again here at homify, working with natural light is always an essential when attempting to create a welcoming, inviting and enjoyable abode. No matter how small your home, the lighting you choose to employ will have a huge effect on the overall ambience and atmosphere of your space. In addition to looking fabulous and creating a pleasant air, reducing the amount of artificial lighting also has great benefits when it comes to your energy and electricity bill. In this room we see a gorgeously neutral and harmonious space that makes the most of its large window to evoke a spacious sense of freedom. Sliding doors are an apartment owner's best friend! Gone are the days of shabby and undesirable sliding doors, nowadays they are available in a range of styles, designs and colours, ensuring you have seemingly endless aesthetic options. Consider sliding doors for your patio, terrace, balcony, rear exit, inside the dwelling to separate spaces, or wardrobes, as seen in this gorgeous bedroom space. As we say time and time again here at homify it is important to focus attention on the bathroom. An oft-neglected space in the home, bathrooms are solitary spaces ideal for rest, relaxation and rejuvenation. If your bathroom is compact (as it is with many apartments in Hong Kong), consider a combination bath and shower to provide the best of both worlds, while also maximising space. 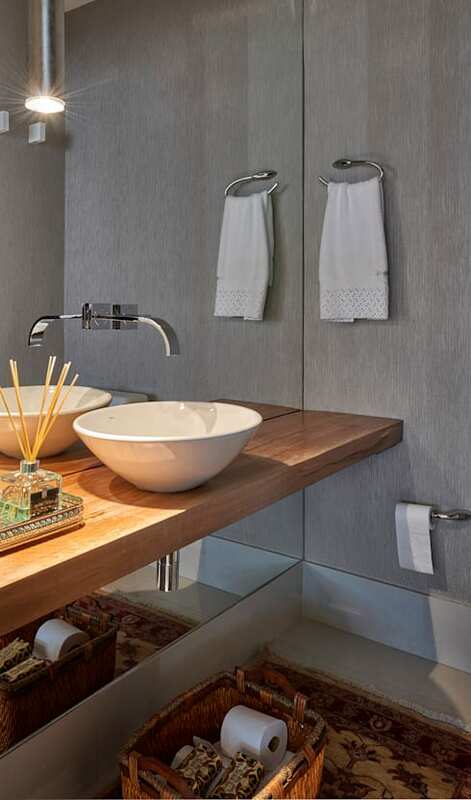 We love this timber vanity that employs reclaimed wood to offer a polished yet nonchalant casualness. Chat to a bathroom designer if you need assistance planning your space. You can find a range of professionals via the homify platform, which are sure to provide the expert advice you need! 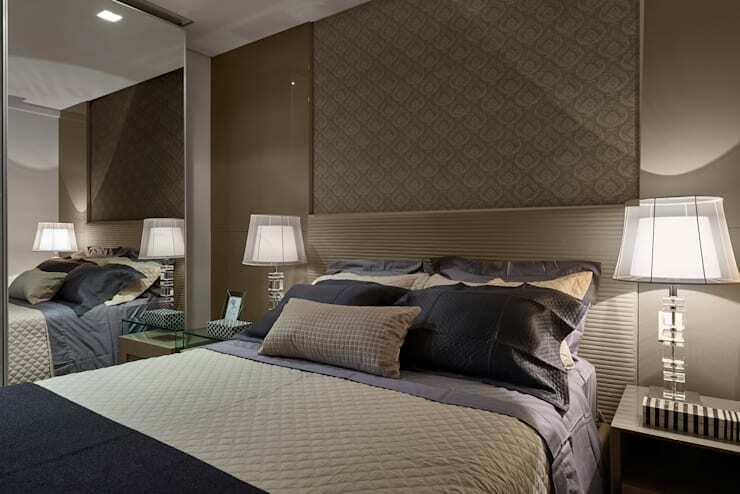 For many, the connection of the bedroom and the bathroom offers more than simply practicality. This layout is enviable, luxurious and opulent, providing a sense of 5-star lavishness that many homeowners can only dream of! If you need to combine these two rooms for the sake of saving space, consider maintaining privacy through the use of different types of partition walls. This might include wardrobes, bookshelves or temporary drywall structures that offer segregation as well as style. Last, but certainly not least, we are taking a quick peek at how you can combine materials to add interest to your interior design. 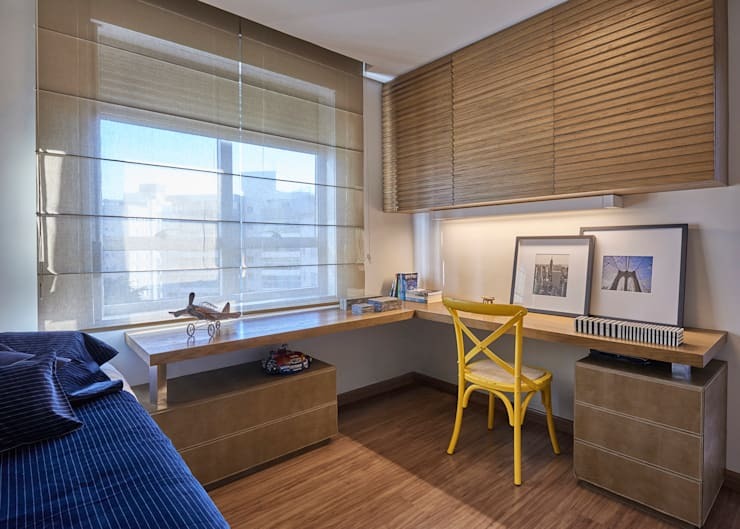 Diversity in the materials that are used doesn’t need to be neglected within compact condo living, and this apartment emphatically emphasises the utilisation of numerous textures, tones and décor themes. Situated at the rear of the formal dining space, this neat bar is the perfect area to sit and wile away the hours, making the most of the brilliant views beyond. Sleek stone tiles, upholstered chairs, sheer curtains and warm timber furniture create a gorgeously enticing and sophisticated room. 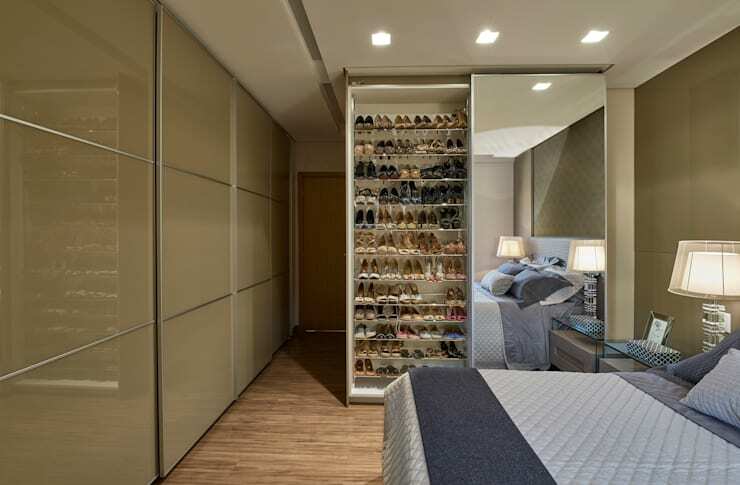 What do you think of this neat and tidy, space-saving apartment?